Interactive machines can understand the movement of a person and make their best effort to move to avoid them. Simple tasks such as transportation can safely be left to these machines. An example of such a system is a robot designed to deliver packages to a fixed location while automatically avoiding people or obstacles in its path. The robot can identify its own position by comparing the results from a laser distance scanner with an onboard map. There are, however, questions to be answered. 1 Can it be installed and adapted rapidly? Conveyors have been used for transporting goods at factories and warehouses for over 100 years. They were useful when manufacturers were producing a large amount of the same thing every day for a long period of time. However, in faster paced markets, they become expensive to implement and very difficult, and even impossible, to modify when your products or processes change. About a decade ago, automated guided vehicles (AGVs) were introduced as an alternative to conveyors in material handling. 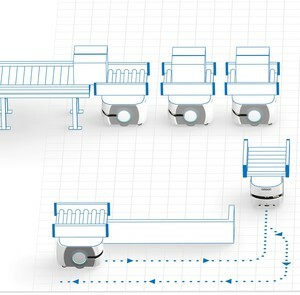 However, AGVs still require you to set up a predefined path, either by laying out magnets or lines on the floor, or by placing beacons on the walls. The latest mobile robots, or Autonomous Intelligent Vehicles (AIVs) can move more freely as well as be reprogrammed based on the task. 2 Can it operate safely alongside people? Already in many factories humans and machines are working alongside each other, and even collaborating on tasks. This means that it is essential that your mobile robot can work safely in the same environment with people. Traditionally, robots were fenced in and kept away from people. Your mobile robot has to have the most advanced and appropriate technology, so that can move safely around people. Ask your mobile robot vendor whether its products comply with the domestic and international safety regulations. 3 Can it work collaboratively in a fleet? 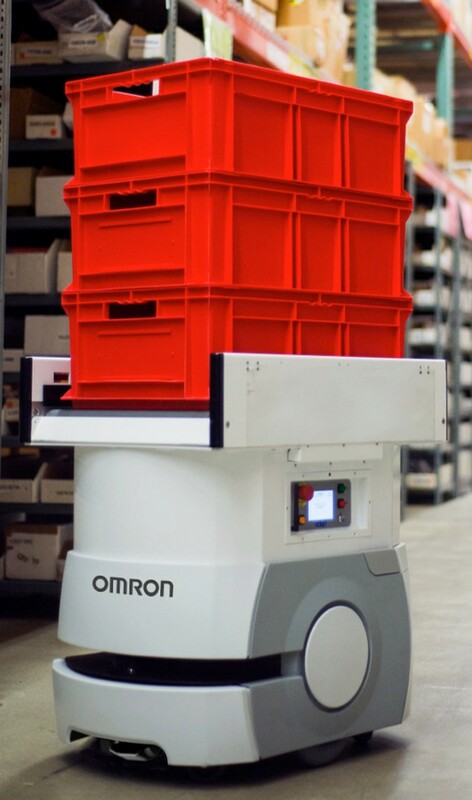 In most cases, there are several mobile robots at work at a production facility. 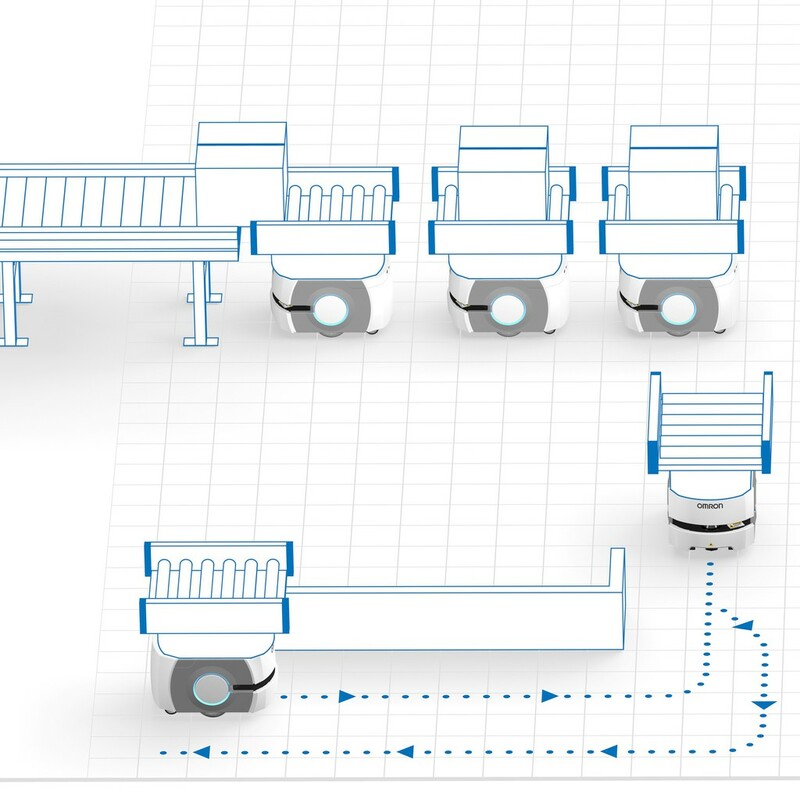 They need to be able to work together and must therefore come with a fleet management system that will automatically allocate the work to the robots in the most efficient way. A good fleet management system helps you maximize your investment. It will enable you to have the least number of robots accomplish tasks by coordinating the robots to share the job. 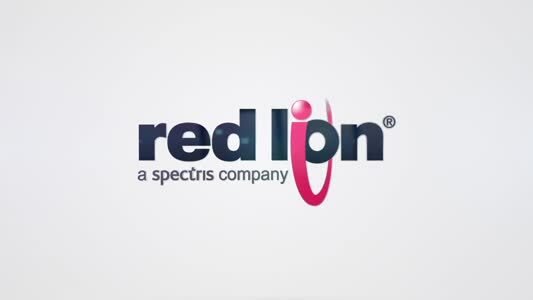 The fleet management system manages two things. The first one is traffic. It controls the traffic so that the mobile robots do not block each other’s paths or wait too long for the other to pass. Secondly, it manages the tasks by allocating them in the most productive way. A good fleet management system can even plan ahead and predict which nearby robot will be available to work on the next job. Managing the time for each robot to recharge its battery is also important to maintain the flow during peak times. 4 Is it easily customisable to your need? Just like people need different skills to accomplish different tasks, you will need different types of mobile robots to do different jobs. For example, a general transporter robot would be able to move things from a pickup location to a drop off location. A mobile robot can be designed to attach to a movable cart and transfer that from one place to another. A mobile robot with a collaborative arm can pick-up individual items. Or you can top the mobile robot with a conveyor so that it can receive from and load onto a conveyor belt. Therefore, it is important that the mobile robot is easily customisable so that you can modify it to fit your needs. 5 Can it run reliably worldwide? 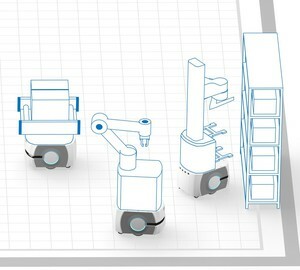 Once the mobile robot system is successfully implemented at one of your facilities, you may want to duplicate that in other locations around the world. If so, you might want to purchase the robots locally, and get professional help in the implementation and technical support after the installation. Moreover, it is extremely valuable if your vendor can help you in combining the mobile robots with other automation equipment – such as arm robots, controllers, and switches – to help you create a total solution.